Seattle Chamber Players (SCP) just concluded Icebreaker, its biennial two-day festival of new music. This year’s edition, the seventh in their history, was titled open source, with a focus on high-tech music-making. Artistic director Elena Dubinets — a key figure responsible for the Seattle Symphony’s smart programming — organized a stimulating and provocative program of five compositions spread over two evenings at Seattle’s terrific On the Boards space. 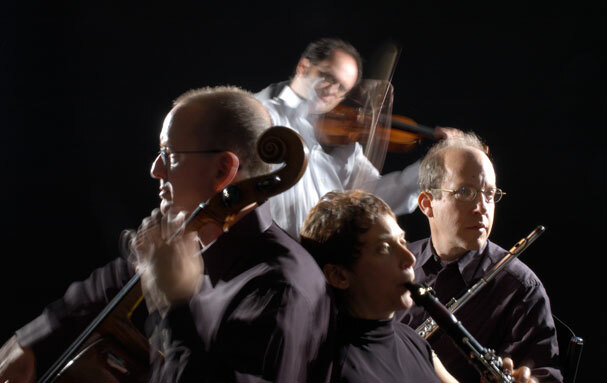 SCP’s core members consist of Laura DeLuca (clarinet), David Sabee (cello), Mikhail Shmidt (violin) — all members of the Seattle Symphony — and Paul Taub (flute). open source ranged far and wide in terms of ambition, scope, and attitude. There was room for pieces featuring cheeky allusions and playful “rewiring” of musical codes as well as epic-scale updatings of the Gesamtkunstwerk meme and its goal of a total-immersion experience. Pieces like Spam! by the Portuguese composer Luís Tinoco (on hand as this year’s guest composer) offered a sardonically comic take on the flotsam and jetsam of spam email in our procrastination-information culture. 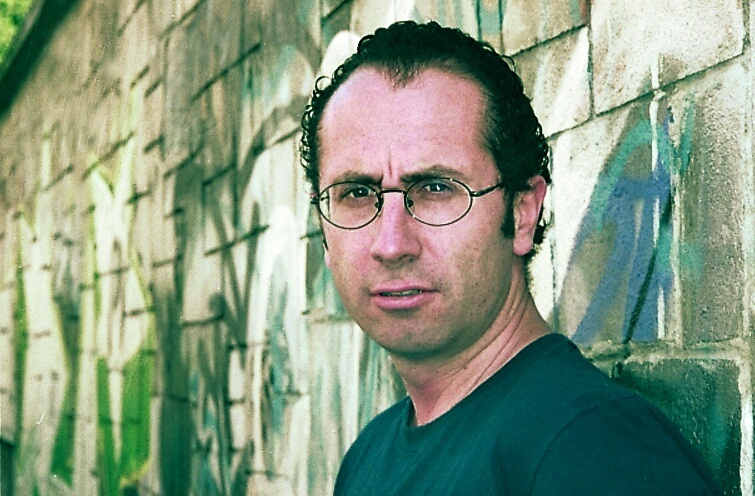 Another type of saturation provided the impetus for a music-and-video piece by the German composer Michael Beil, the title of which did double duty as the name for the festival itself. The ideal of “open source” culture touches on utopian attitudes of sharing and pooled creativity. In Beil’s retooling of the hypnotic barcarolle from Jacques Offenbach’s Tales of Hoffmann, it also suggested a new angle on Walter Benjamin’s notion of the “aura” for this era of hyper-reproducible artifacts. In practice, though, open source turned out to be rather less fascinating than in the abstract, on paper. The Greek composer Yannis Kyriakides also started with a promising concept in his recent Karaoke Etudes, to which this observation by Douglas Coupland serves as an epigraph: “21st-century life is karaoke — a never-ending attempt to maintain dignity while a jumble of data uncontrollably blips across a screen.” And this time, in practice, the interplay of pop-culture artifact, memory, improvisation, and oblique visual cues — with its mix of beguiling innocence and bemusement — cast a charming spell. And both of these therefore represent one-of-a-kind works. It was a real coup for Elena Dubinets and SCP to score the Northwest premiere of the Dutch composer Michel van der Aa’s Up-close, which had its West Coast premiere in the Los Angeles Philharmonic’s Green Umbrella series just last month. I’ve recently written about Up-close — scored for solo cello, string ensemble, and electronic soundtrack — and its radical reimagining of the concerto format as a hybrid of film and live theater. Simply put, it was thrilling to experience this significant new composition in live performance. As the solo cellist, Julie Albers also had to perform a scripted part in tandem with the images from van der Aa’s filmic counterpoint — a mysteriously never-explained narrative involving an older woman and her traumatic memories (having to do with coded messages, communication, and an implicit backdrop of the Dutch Resistance in the Second World War). I found Albers’s stern, grainy, edgy sound extremely effective and dramatically compelling. Her phrasing captured the desperation of her “character” with a deeply felt immediacy. I also admired how alert she was to the amazing spectrum of nuances van der Aa has written into the part. To be able to present a contemporary composition as significant, as cutting edge, and as emotionally engaging as van der Aa’s Up-close underscores the value of SCP’s Icebreaker festivals. Seattle audiences would benefit from more of this kind of boldly planned and executed new work — an undeniable peak of this edition of the festival. So, too, was the big work on the first night: An Index of Metals by the Italian composer Fausto Romitelli, who died a decade ago (only in his early 40s). Romitelli’s video-opera for soprano and ensemble turned out to be case in which what’s “on paper” pales by comparison to the live experience in real time. The aim … is to turn the secular form of opera into an experience of total perception, plunging the spectator into an incandescent matter that is both luminous and sonorous, a magma of flowing sounds, shapes, and colors, with no narrative but that of hypnosis, possession, and trance. It is a lay ritual, rather like the light shows of the the 1960s or today’s [i.e., at the millennium] rave parties in which space, having assumed a solid form through the volume of sound and visual saturation, appears to twist into a thousand anamorphoses. Rather than calling on our analytical ability, like most contemporary music, “An Index of Metals” aims to take possession of the body with its over-exposition of senses and pleasure. Granted, that could merely amount to a lot of gobbledegook signifying nothing. But the incredibly meticulous planning that went into this realization paid off: the SCP and their collaborators succeeded in conveying the re-enchanted performance dynamic that has to be there for Romitelli’s magic to work. In one sense, you could say Romitelli’s rejection of the “analytical” in favor of Dionysian immersion and sensory overload — what the composer calls “the fusion of perception” and “the henceforth limitless body in the furnace of a ritual mass of sound” –makes for a contemporary reincarnation of Romanticism. The video elements comprise three separate films (created by Paolo Pacchini and Leonardo Romoli), while a solo soprano, accompanied by 11 amplified instruments, sings a text by the Solvenian writer Kenka Lekovich (translated into English). And what an assignment the soprano is given — to project musical-emotional sense from the foggy, twilit timbres of Romitelli’s soundscape. To the fluid stream of video images she sings Lekovich’s texts of “Hellucination.” It all induced a state of awe — an awe both majestically terrifying and ecstatic.